What Does it Mean When a Tooth is Sensitive to Temperature? Do cold or hot temperatures bother you? You may have sensitive teeth. Don't worry, this is common and is treatable. Tooth sensitivity occurs when the hard enamel wears down and or the gums recede. Small microscopic tubes in the layers of the teeth below the enamel are exposed. Stimulation of the cells causes the tooth sensitivity within these tubs, creating a sharp pain when this area is exposed to cold or hot temperatures through beverages and food – or even by the air. Cracks in the enamels surfaces can also cause sensitivity. Temperature change trigger teeth to expand and contract which over time, microscopic cracks develop, allowing cold or hot sensations to flow in through the nerves beneath the tooth enamel. Enamel protects the teeth, which is a tooth's first defense against temperatures and foods like hot, cold, sticky and abrasive items. When the enamel is worn down a tooth decays forms, and the tooth is sensitive to heat at this point. The nerves within the pulp are exposed, this can happen with age, acidic or sugary diets and a history of acid reflux. Both big and small fissures in the teeth expose the same tender nerves. This tooth sensitivity is usually the first warning sign that a cavity is forming and it is time to schedule an appointment for the dentist. Fillings in existing cavities can become loose or fallout giving a hypersensitivity in the place of the mouth was the first cavity was cleared out. Teeth are coated with dentin, material beneath the enamel which is sensitive, containing tiny tubes that make the tooth susceptible to sensitivity. Gums are receding cause the dentin to be exposed resulting in pain. Receding gums can be a side-effect of gingivitis or gum disease. Tooth sensitivity to hot or cold is a symptom of a broader oral health issue. 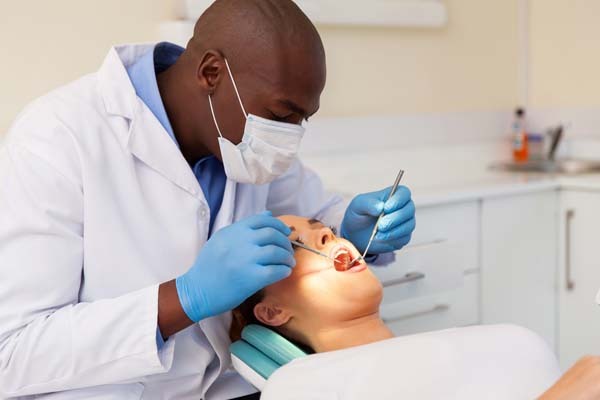 Behavioral changes and a treatment option with a dentist can bring you a pain-free-day. Toothpaste that contains potassium nitrate as an ingredient help depolarize the nerves, this can effectively block the sensitivity triggers and assist in banishing the pain. If a cavity is appearing, loose fillings are evident or exposed nerves; a dental treatment is needed to correct this. A cavity might need to be filled, applying a crown or replacing an existing filling might be required. The bonding material can be used to fix a cracked tooth which may have caused tooth damage that might not even have been relevant. Of course, caring for teeth through a regular hygiene routine can assist tooth sensitivity due to gum disease or decay. Defining the symptoms and seeing the dentist assures a solution that results in healthy teeth and comfort for when a cup of coffee or a frosty milkshake craving comes on! 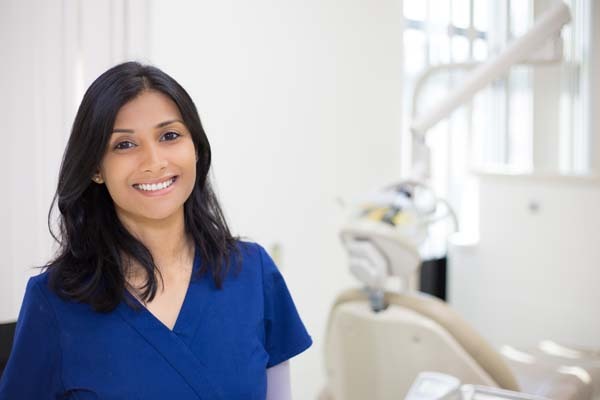 Don't delay with a tooth that is sensitive to temperature, contact a dental hygienist today. 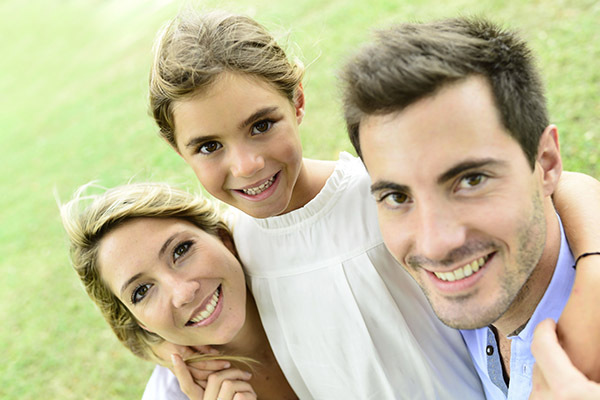 Request a dental appointment here: https://familychoicedentistry.com or call Family Choice Dental at (505) 634-5541 for an appointment in our Albuquerque dental office.